Been a few days since I worked on the bug. 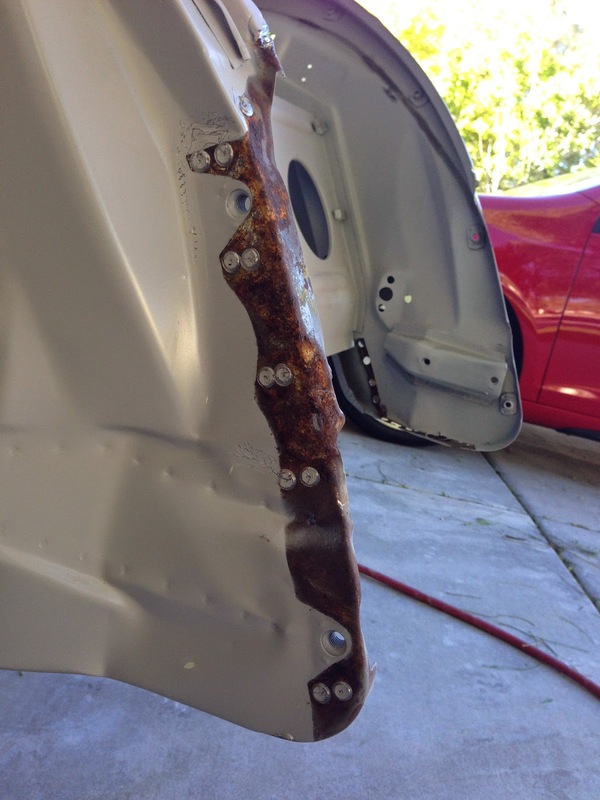 Today I took the "oil canning effect" out of my driver's side front quarter panel. It is named after that sound that an old metal oil can use to make when you squeeze the sides. 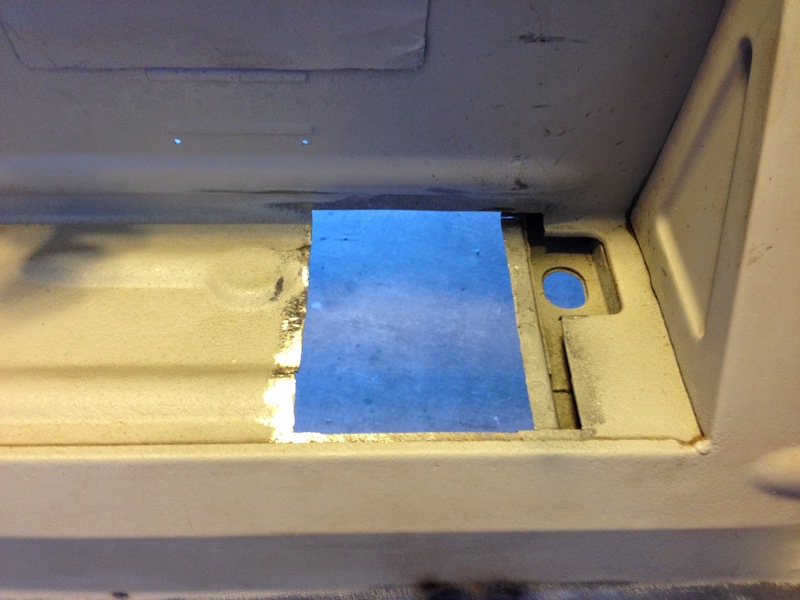 After welding in the A pillar, it had been heated up to a point where the panel started to flex. I used my stud welder and heated it up in a concentric circle and then quickly cooled it with a wet towel. Doing this causes the metal to shrink! And the oil canning effect goes away. I also took care of the passenger front quarter. This is where that small collision damage was. 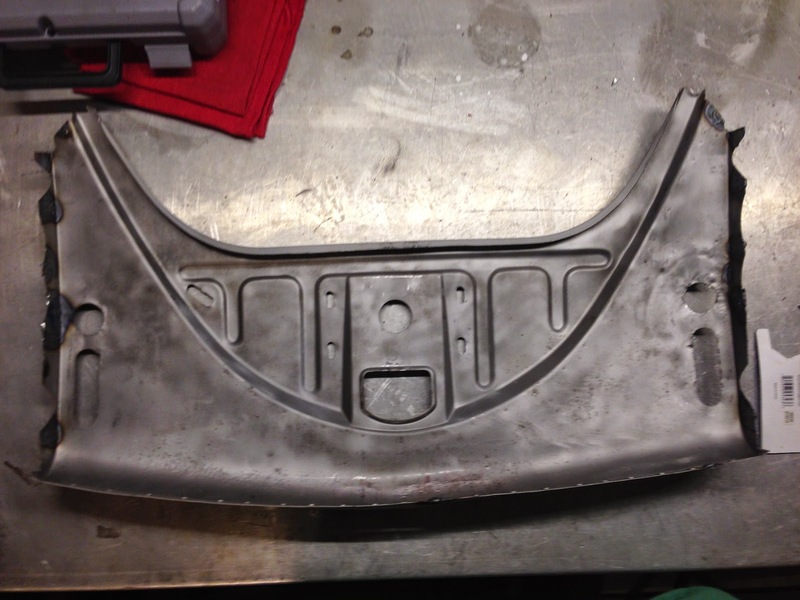 With some hammer and dolly-ing around the front bumper mount that area was relatively easy to fix. However, the area that had crinkled was behind another panel and I wasn't able to get behind it. So I had to weld studs to it (stud welder used in previous fix, multi-task!) and then a slide hammer which grabs the stud and then a weight is used to pull back on it to get the metal out of it's concave shape. In this pic, you can sort of see the front passenger side quarter damage. After panel beating the front part, I welded the studs onto the carb to pull the dent out. 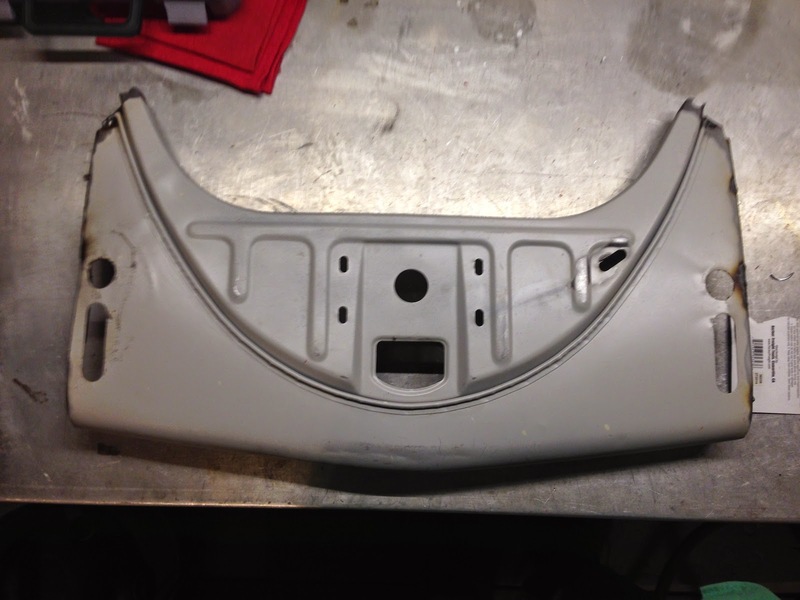 Although it looks pretty rough in the picture, a light coat of metal filler and it will like new. Now I need to weld the front apron and spare tire tray in. Then onto some of the body parts! Well today I welded in the master cylinder shelf area. 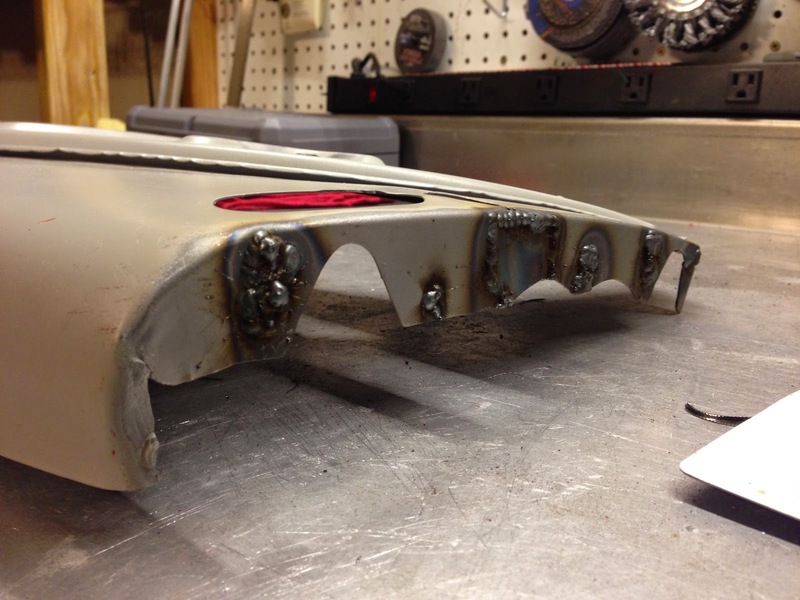 It was quite a pain, with several burn-throughs and some fitment issues. 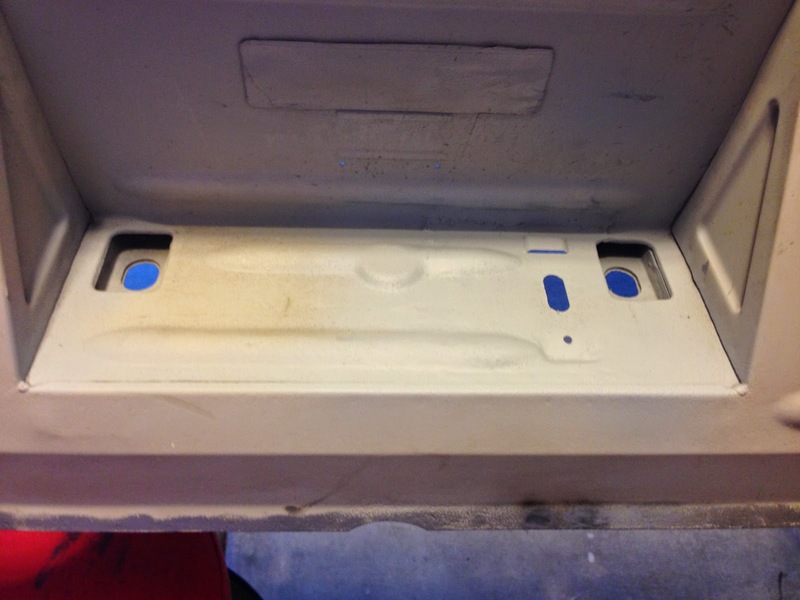 A few days ago I prepped the front apron attach area by grinding down all the spot weld holes in the previous post. And yesterday I patched all the holes on the front quarter panels where the spare tire well attaches. I'd like to get the front apron/spare tire well on and taken care of. After that is complete...on to metal work on the various body parts. 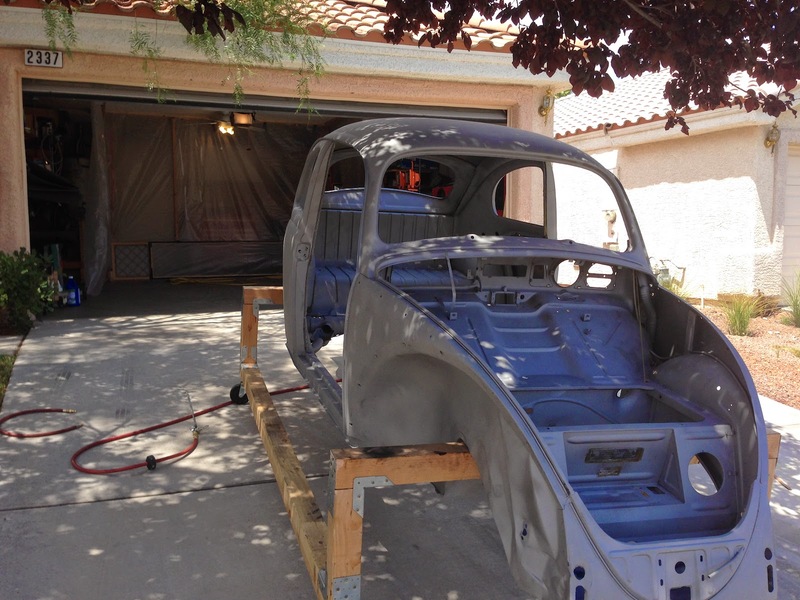 Fenders, doors, hood, decklid, and some welding on the seats. I've had quite a few days off, but after some visitors and my thumb injury I didn't get into it as much as I had hoped. The weather has also cooled down significantly. So much so, that I had to use my garage heater today! And also having trouble with the pan starting since my manual choke isn't hooked up. May have to rig something up to make that work. Anyway, today I did a little bit of metal bumping on the front apron. I also removed the old, rotten spare tire well from the front apron. 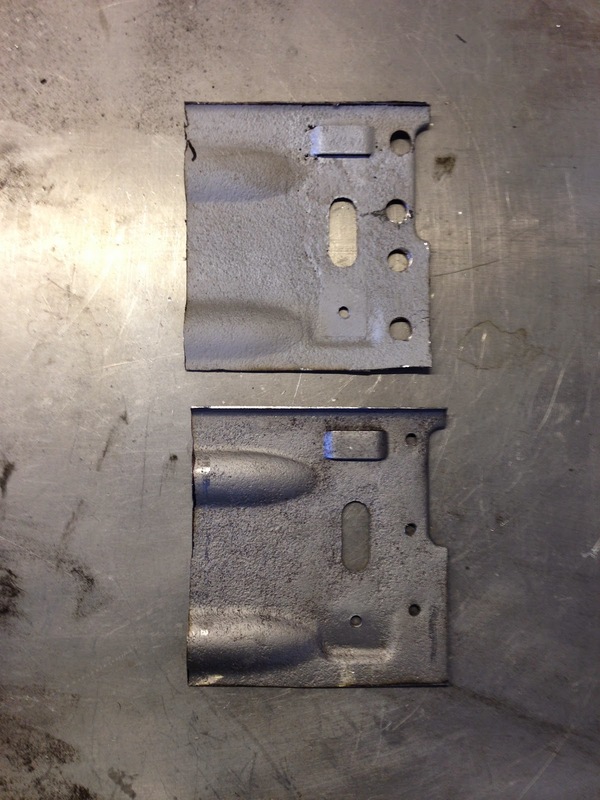 Then I welded it up, will grind it smooth tomorrow. Inside of the front apron. Some more work to do on the bottom lip. Will do some metal prep on the front area of the car and replace the master cylinder shelf area...then reassemble!